If you are interested in top-bound catalogs and booklets, additional sizes and options are available in the Calendars section of our website. In addition to choosing your catalog size, you can also choose between stitch and perfect binding at GotPrint.com. Stitch binding includes traditional stitching along the spine, while perfect binding allows your finished product to have a flat spine. Our catalogs accommodate projects of all sizes since they hold between 8-96 pages. 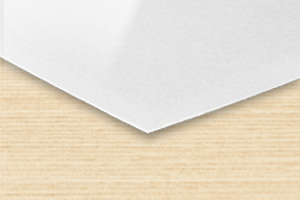 Make the pictures stand out with full-color printing on our high-quality paper stocks. Choose from saddle stitch and perfect binding options. Saddle stitch binding available from 8-96 pages, perfect binding available from 48 pages up to 96 pages. Got Green – recycled stock available for the environmental enthusiast. Select one of our Gloss stocks for a beautiful shine, the 70 lb. Opaque Smooth White for a textured look, or our Matte stock for a more subdued and vintage look. The GotPrint team has worked hard to design a website that is user-friendly and accessible for all of our customers. Whether you work full-time in marketing or you've never placed a print order online, you'll be able to design and order beautiful products here at GotPrint.com. Our website gives you two ways to create your products. If you have already finished your booklets design, use the Upload Your Design feature to upload your designs to our site. You can also send your files to us on a CD or DVD if you prefer. Using the Online Designer tool is one of the most popular options for our customers because it is both highly functional and easy to use. The Online Designer feature allows you to choose everything from backgrounds to text and graphics for your booklet. We've included multiple themes to meet the needs of your specific industry, such as Auto Services, Beauty and Wellness, Education, Real Estate and Restaurants. 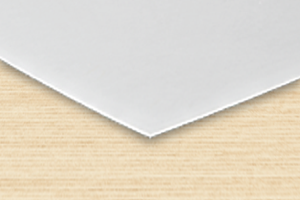 You can also download templates that match the most popular mail order catalog printing sizes. When you're ready to showcase the products that your company has to offer, you want your promotional materials to reflect the high quality of your business. 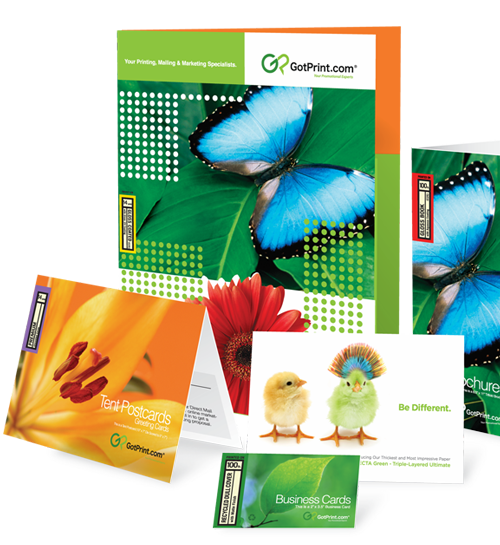 Choosing GotPrint.com's catalog printing services is one of the best investments that you can make for your company. We have built a reputation for excellence in the online printing field, and our catalogs and custom booklets are professionally created and reasonably priced. High-quality, full-color offset printing is used on any order, whether you choose an 8.5" x 11" standard-sized booklet, a smaller 5.5" x 8.5" catalog, or another product. GotPrint invests in today's most innovative printing equipment, and we have five state-of-the-art printing facilities to ensure that your order is processed quickly and correctly. We require a .25" bleed. 24-72 Hours (Excluding Holidays/Weekends): We will check your files and ensure they have the correct file specifications. If we find any problems with your files, we'll email you, otherwise we will mail you a hard copy color proof within 24-72 hours (excluding holidays and weekends). Please note that this hard copy proof is printed on poster size proofing paper, rolled and shipped to you via Next Day Air. The hard copy proof is for color proofing purposes on the press only. It is not a sample of your final product. You are required to check off the area provided on the proof, sign it and send it back to the address from which it was sent, at your expense. If you do not approve the proof or color, please state the reason on the proof and if you would like to receive a second hard copy proof for an additional fee. Once the approved proof is received, we will create a PDF proof within your order for final approval. Prices include processing one set of uploaded files and creating a single hard copy proof and a single PDF proof.